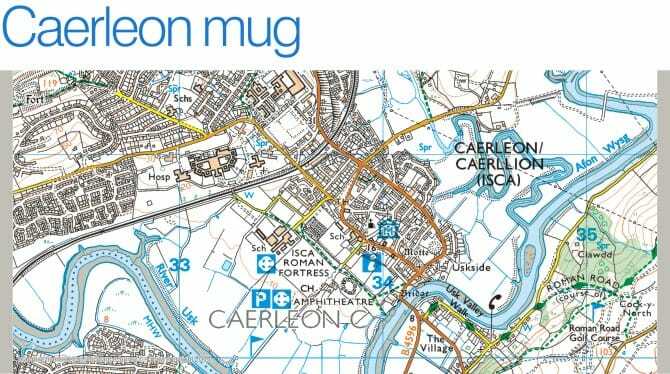 High quality ceramic mug printed with a genuine Ordnance Survey map of Caerleon. High quality ceramic mug printed with a genuine Ordnance Survey map of West Cornwall, featuring all major tourist destinations. 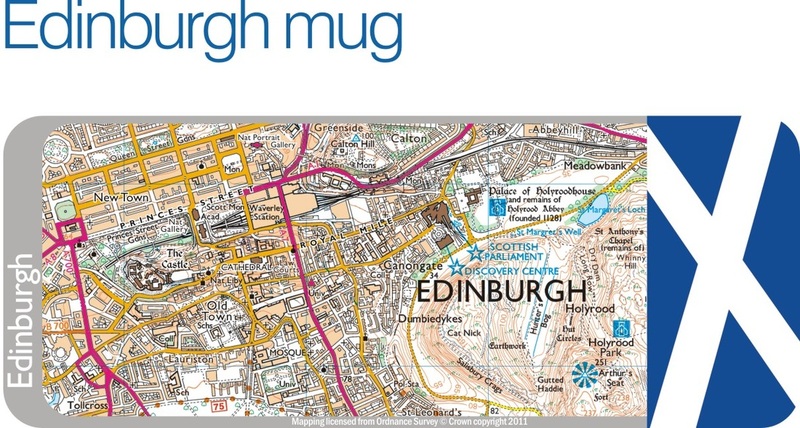 High quality ceramic mug printed with a genuine Ordnance Survey map of Edinburgh city centre, featuring the New Town and Old Town, with all major tourist attractions. 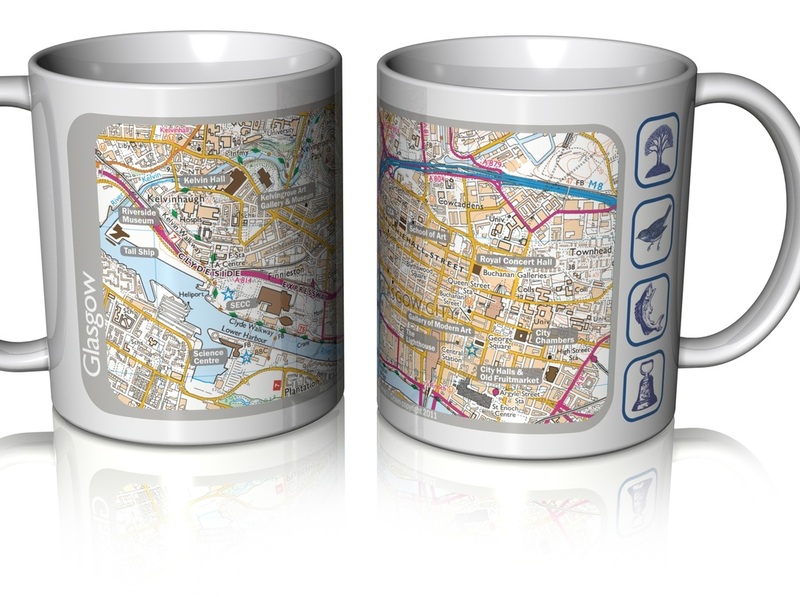 Unique gifts featuring a genuine Ordnance Survey map of the Fowey estuary. 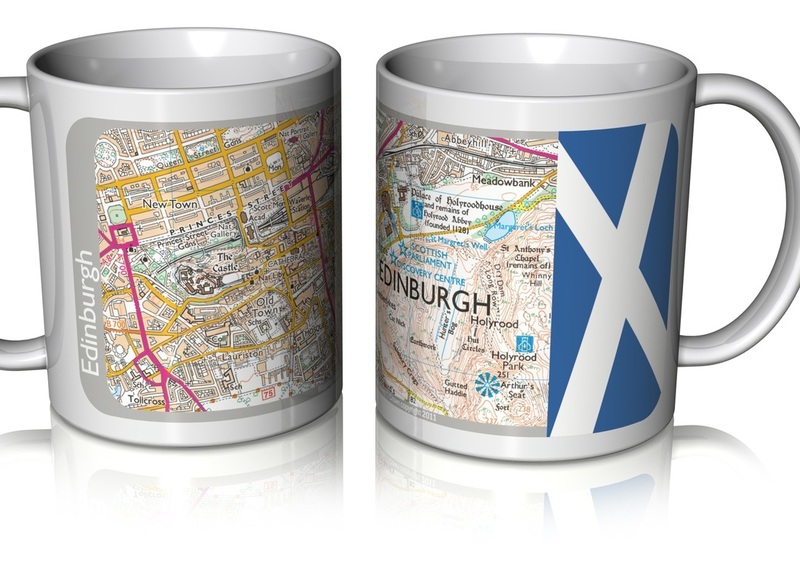 The 4 coasters, and the pair of mugs, form one single map image as shown (coasters shown). The cushion features the complete map area shown here. Coasters and mug are presented in an acetate gift box. High quality melamine faced placemats, featuring a genuine Ordnance Survey map of the River Fowey, from Lostwithiel to Fowey and Gribbin Head. 2 placemats form a single map image as shown. The set consists of 2x matching pairs of placemats. Presented in an acetate gift box. The serving tray features the map of Fowey, as per the 'bottom' placemat. 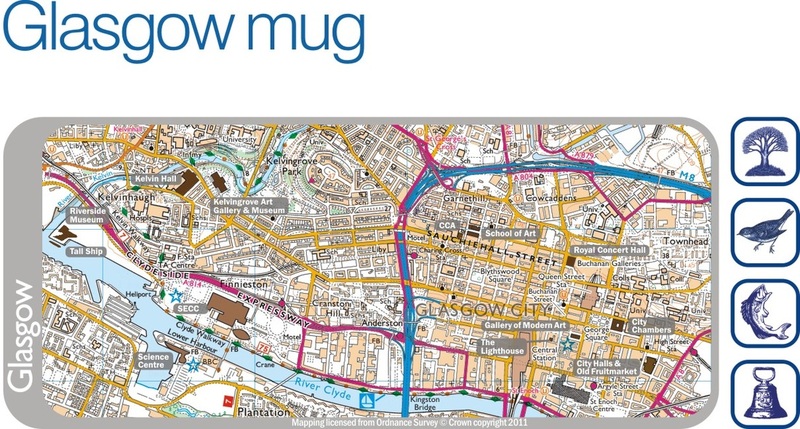 High quality ceramic mug printed with a genuine Ordnance Survey map of Glasgow, featuring the city centre and Kelvingrove plus riverside attractions.